Of course, you need a booth that is eye-catching and engaging, and it needs to reveal enough about your product to draw customers in but not so much as to overwhelm them. This is basic marketing. Beyond that, it is crucial to discover what key elements attract customers to your booth so you can make a personal connection with them. Low Quality Exhibit - Assumes a Low Quality Company: Follow me for a moment – Think back to when you tried out a different airline for the first time and imagine for a moment that you encounter a sticky fold down tray after you sit down. From that, we draw many conclusions about that airline company as a whole, even though it may not be a fair conclusion. We all judge companies and people based on what we see and what we experience. Hands down, the most important thing to consider when designing and building your exhibit is how much to spend, along with how to spend it. The last thing you want to do is spend the money to get in to the trade show and pay for booth space and then to scrimp on the actual exhibit design and look on the show floor. Keeping your budget in mind, you have to keep your image in mind, as well. I was struck by the number of companies at the MD&M show that had gone to the effort to get there and set up but then had wrinkled banners, unsteady exhibits, cheap-looking samples, and loose electrical cords everywhere. Their lack of professionalism immediately lowered my impression of their company.. The Tech Advantage: There is no doubt that technology, when utilized correctly, will set you apart from competitors who are either not using well, or not using it at all. There are several types of tech to consider based on your offerings as a company. A few that are becoming reasonably affordable are Virtual Reality, Augmented Reality, Touch Screen Technology and RFID applications. Each of these have merit and should be considered as a means to set you apart, deliver a message, and make it easy for your sales staff to follow up after the show.. Consider Backlighting: A nicely backlit exhibit design makes a booth stand out in a room and in a customer’s mind. I was surprised that not everyone was utilizing this feature. Although it costs a bit more, it makes all the difference in how interesting, engaging, and professional a booth looks. If you’re looking for a way to make your brand really stand out from its competitors, and especially if the location of your booth is in a dark part of the space, consider backlighting. Remember the Details: Over and over again, I found myself attracted to business with little intricacies added to their displays. One company, in particular, attached a thin blue LED trim around their main table. It was eye-catching! Their entire display was well-done, but this small detail made their booth stand out and made me remember them. Showcase Your Message: What is it that you REALLY want your people to walk away from your booth thinking? Once you determine that, focus your money and energy on that message. I visited lots of booths at the MD&M show that had so much information I had no idea what they were really about. On the other hand, several booths had blank walls and bare tables. And they had paid dearly for it! You’ll need to strike a balance between too much overwhelming information or eye-catching clutter and too little information or engaging displays. Make sure your booth boasts your company name clearly, as well as professional, relevant pictures and keywords describing the functions of your business. Choose Energetic Booth Staff: This seems like a no-brainer, but it needs to be said. 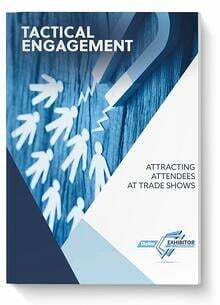 The entire point of a trade show is to get potentials to your booth, and the whole idea behind that is to connect and engage with them. If the staff manning the booth seems tired or bored, how does that make the customer feel? How does that make the company look? When I visit booths, I subconsciously connect the “face” of the booth with the company itself, and if the booth staff isn’t top-notch, I assume the company isn’t either. Plan Like the Navy SEALs: No matter how carefully you’ve planned your show day, Murphy’s Law will eventually show up and try to wreck your day. Broken parts, lost cords, damaged pieces, or just a display problem you can’t solve can all feel like a disaster. That’s why it’s crucial to plan ahead (like the Navy SEALs) and have backup when you can – replacement parts, extra cords, tools on hand, someone “in the know” to call. Having a “disaster” plan in place can make all the difference on show day. One key to insuring a good outcome is to make a sure you have at least one booth staffer that is tech savvy and can jump in when things go off the rails. 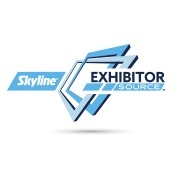 Countless hours and enormous energy go into designing and building exhibits for trade shows. 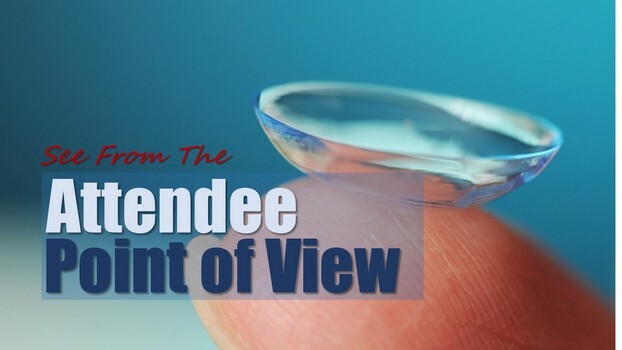 Make it all worth your energy and effort by taking note of my observations from the first trade show I attended. The tips here are simple, but essential. They could be the difference between attracting customers and repelling customers. They will help you achieve your overall goal of attracting passers-by to your booth and drawing them in to a relationship with you and your company.